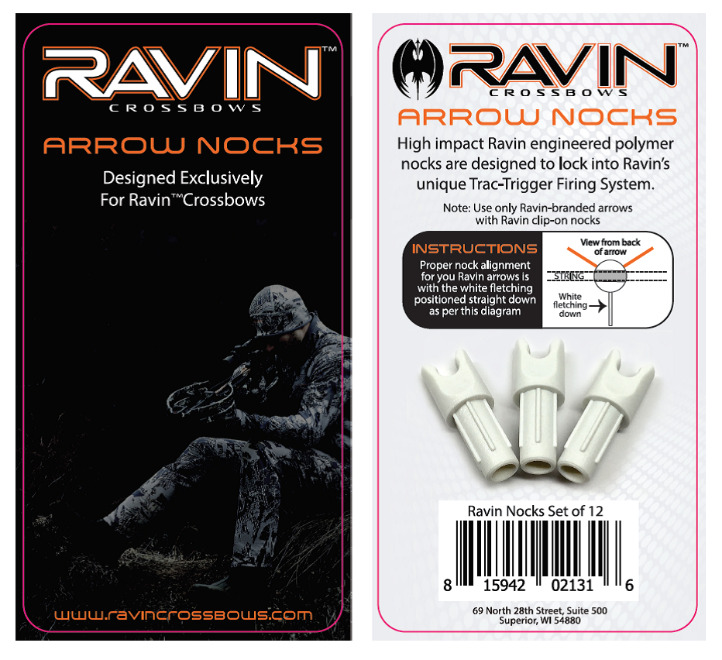 Ravin Crossbows recalls arrow nocks due to if the nock is not fully engaged with the bowstring, the crossbow can fail to discharge when the trigger is pulled and can result in the bow discharging while re-nocking of the arrow, posing an injury hazard to users. Consumers can contact Ravin Crossbows toll-free at 888-298-6335 from 9 a.m. to 5 p.m. CT, email at nockupdate@ravincrossbows.com or online at www.ravincrossbows.com and click on Safety and Instructions for more information. The arrow nocks were sold at Bass Pro Shops, Cabela’s, Dicks Sporting Goods stores and other stores nationwide from October 2016 through November 2017 for between $8 and $15 when sold separately from other equipment. The arrow nocks were also included as original equipment with Ravin crossbows sold for between $1,500 and $2,000 and Ravin arrows sold for between $75 and $110.